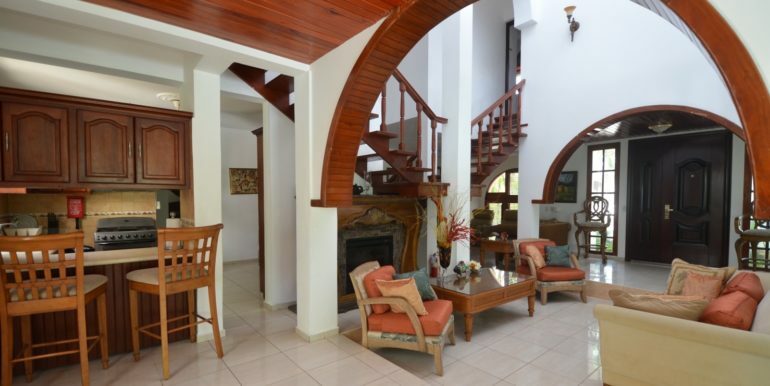 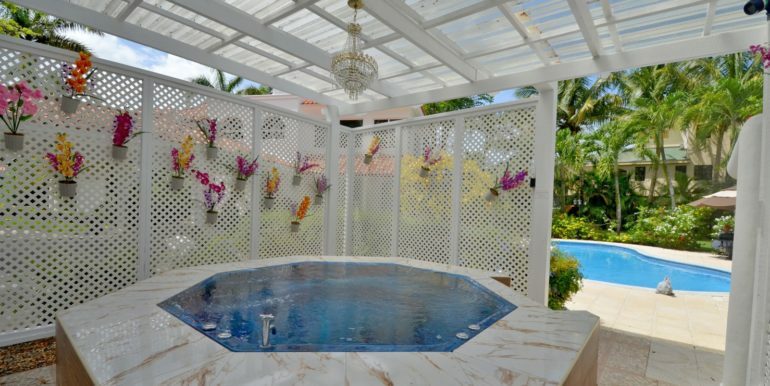 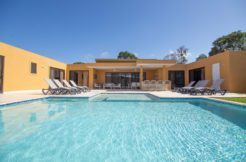 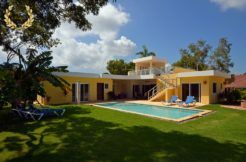 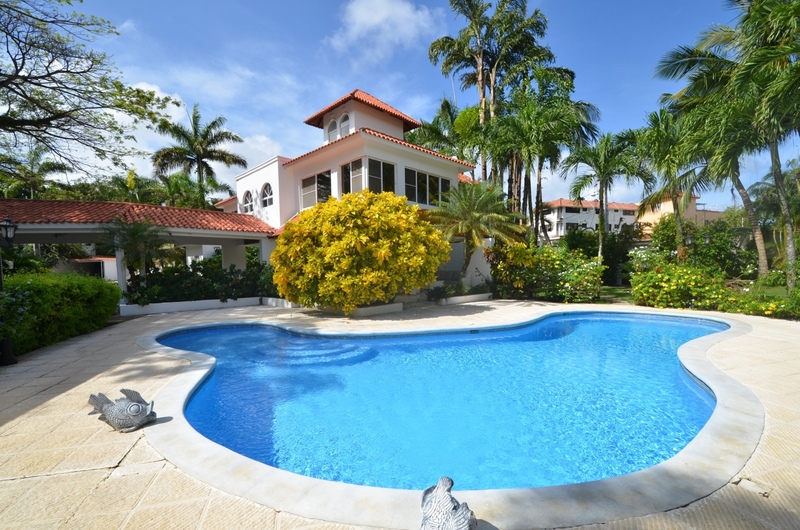 9 Bedroom Villa Rental with Jacuzzi and Private Pool Sosua that can be order customized to fit 6-9 bedrooms accommodations for family groups, bachelor parties and even film crew production companies. 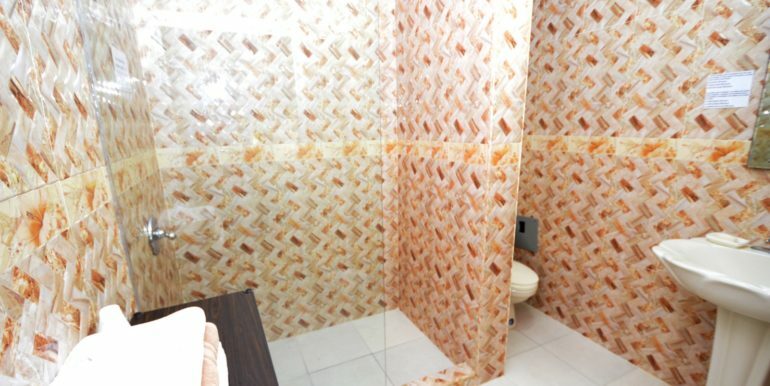 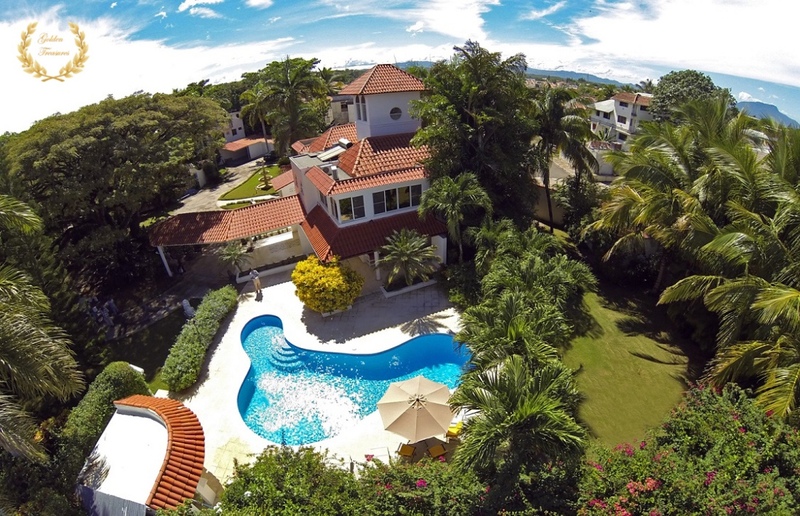 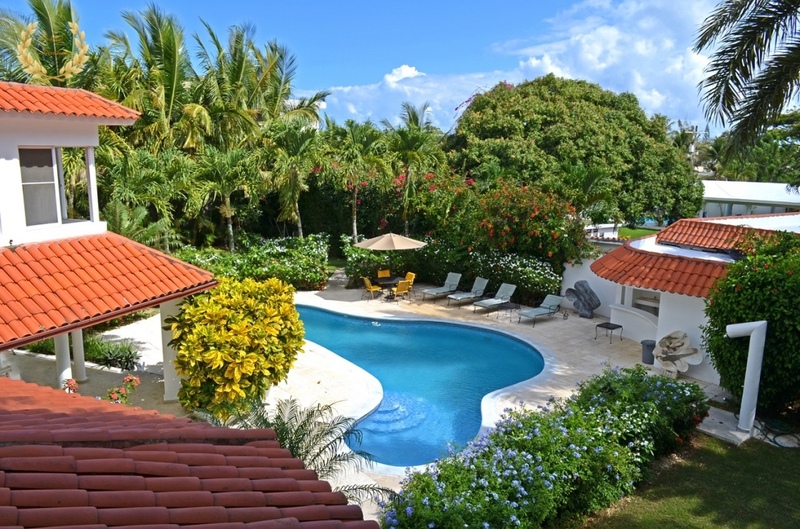 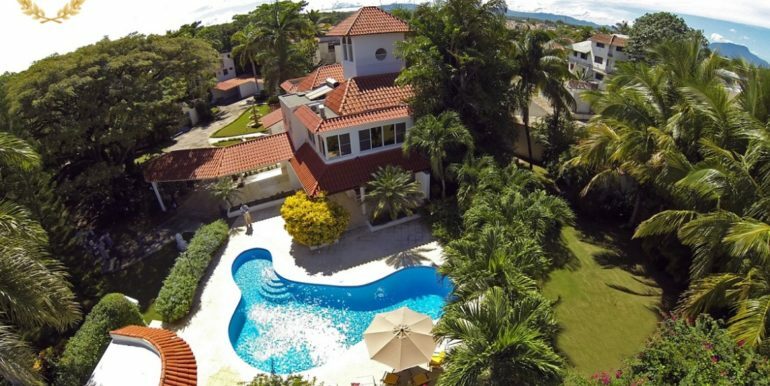 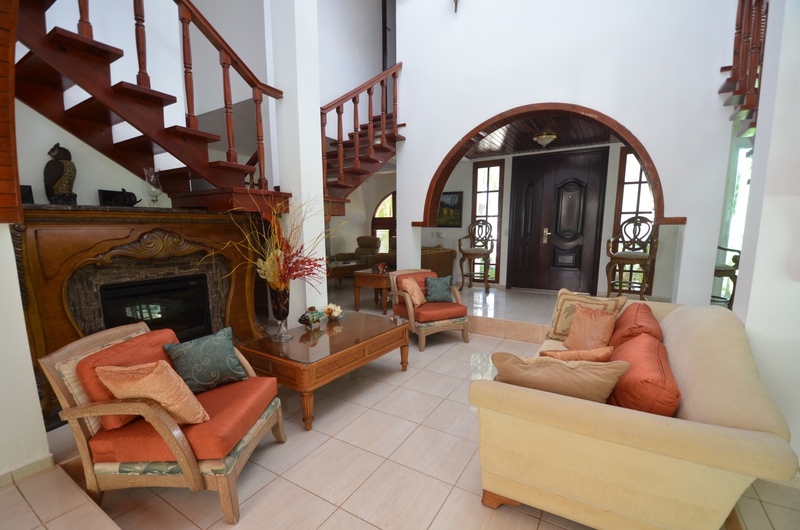 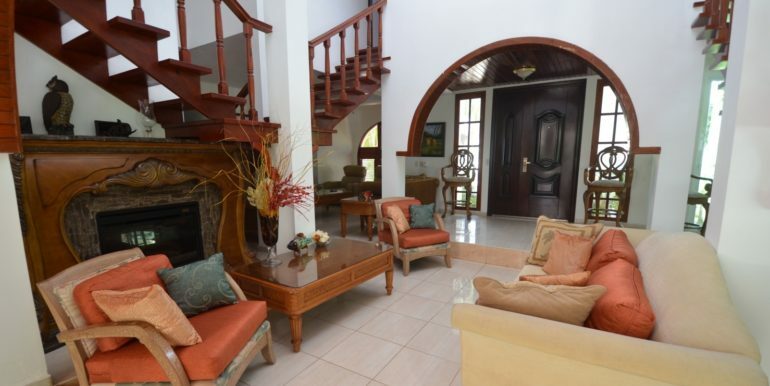 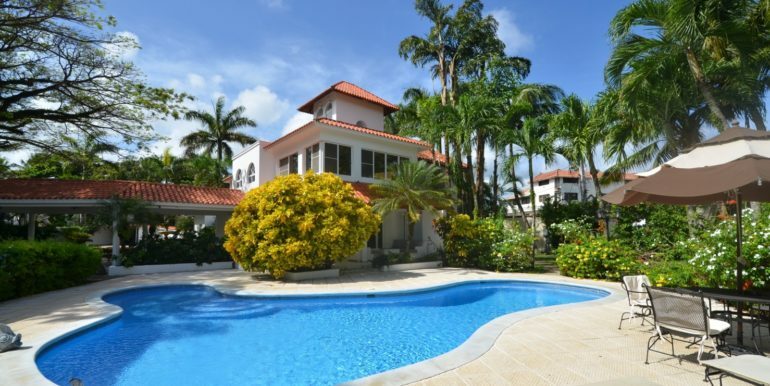 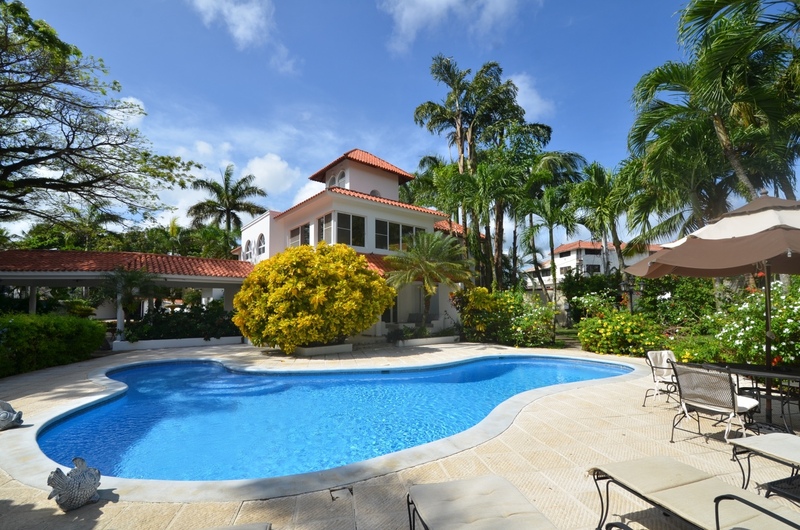 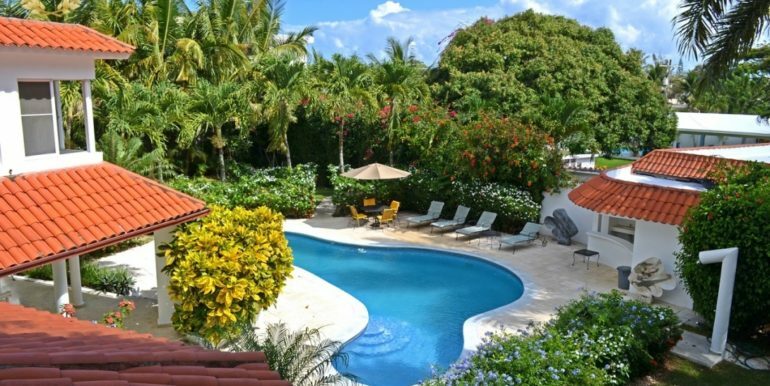 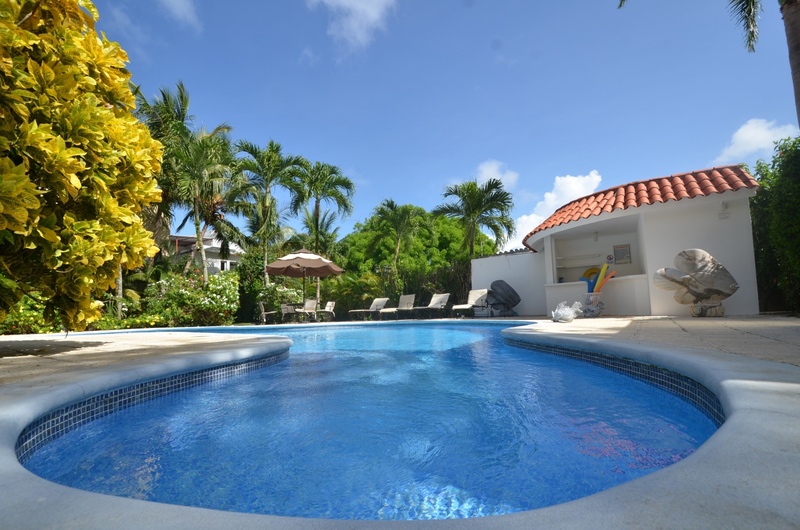 The villa is located near everything in town with ample gardens, gated access, living room, double dining area, Cable TV, safe deposit box, linens, towels, manicured gardens, kitchen with all appliances, breakfast area, lounge area, mahogany wood works, nice swimming pool and bar in the pool area. 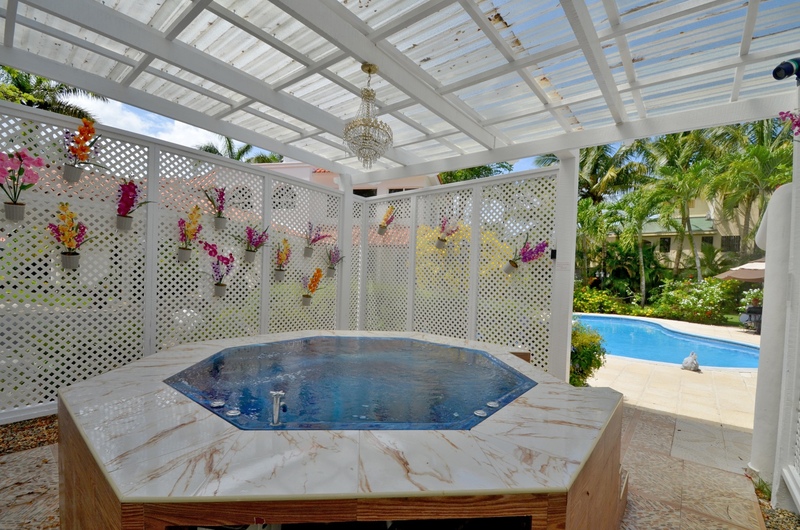 A large outdoor Jacuzzi was just installed by the swimming pool. 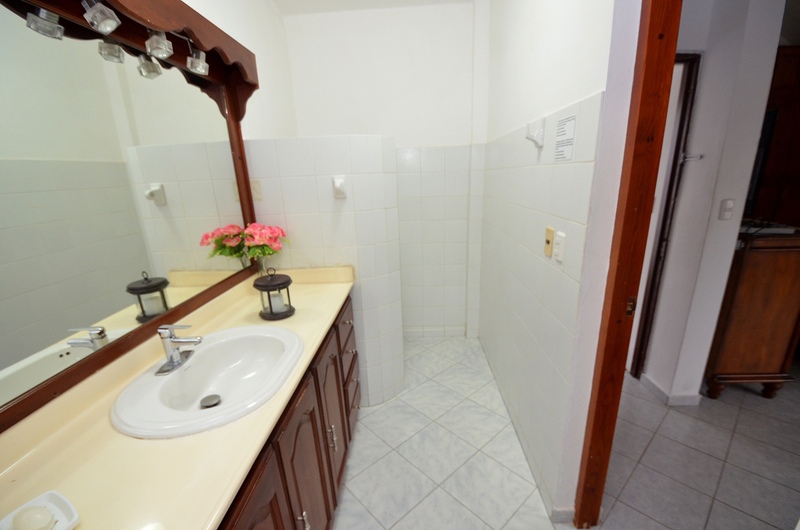 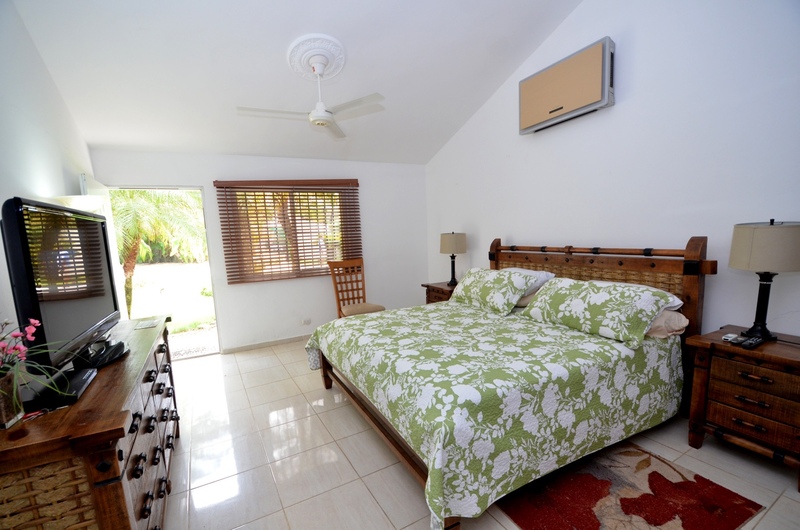 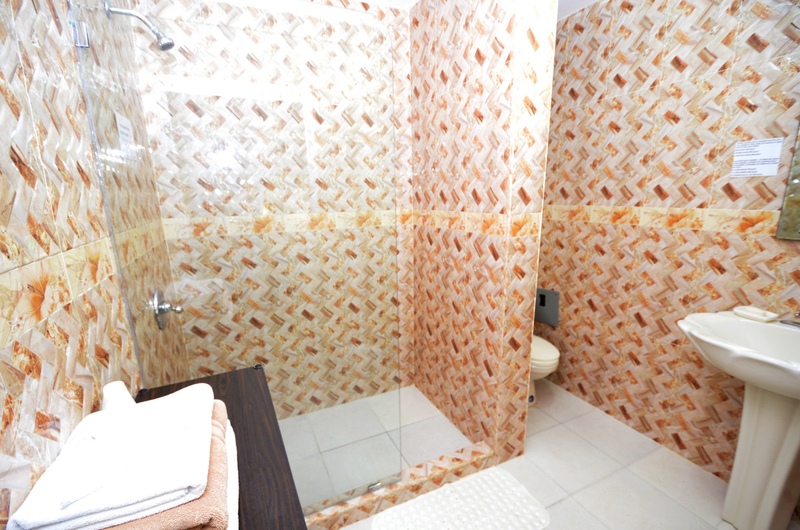 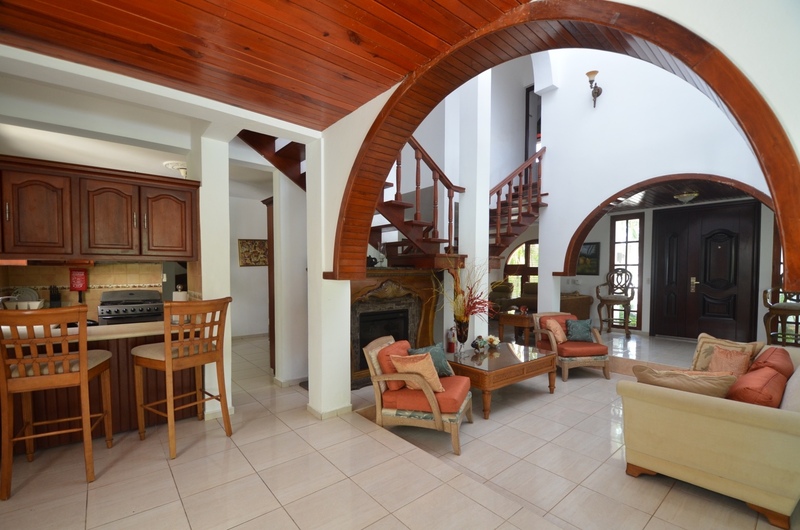 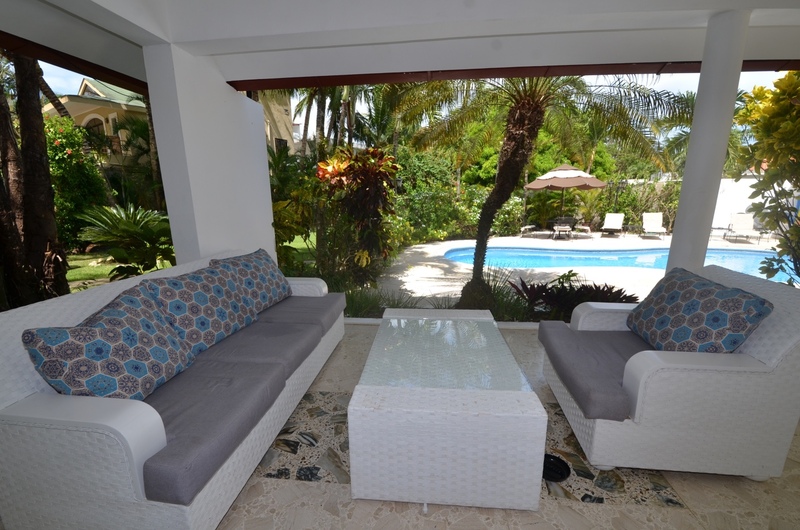 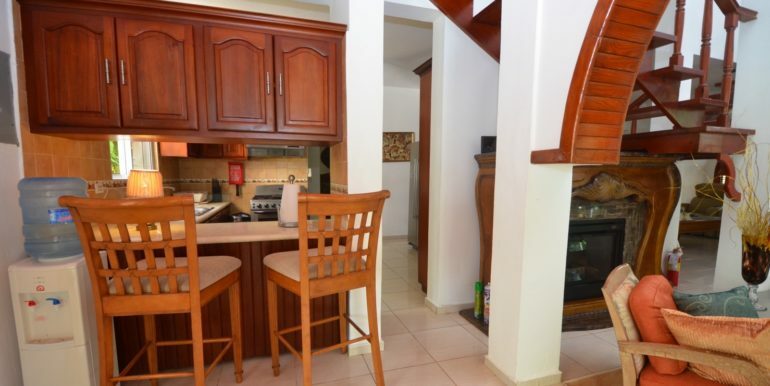 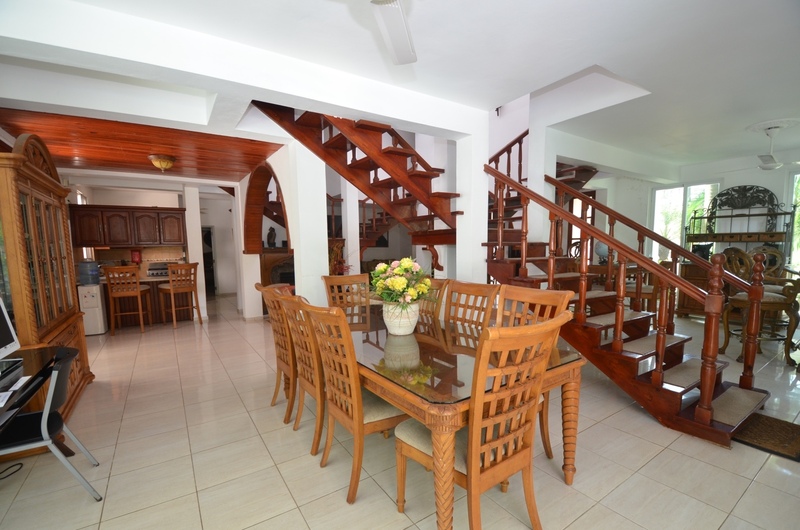 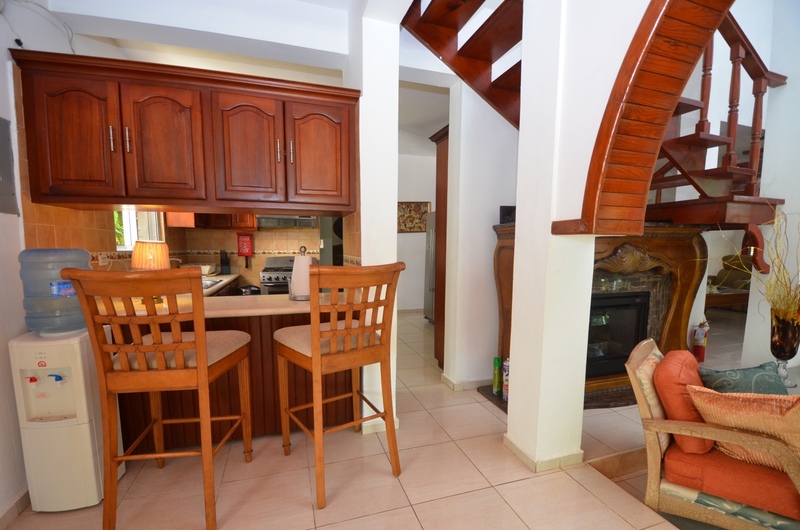 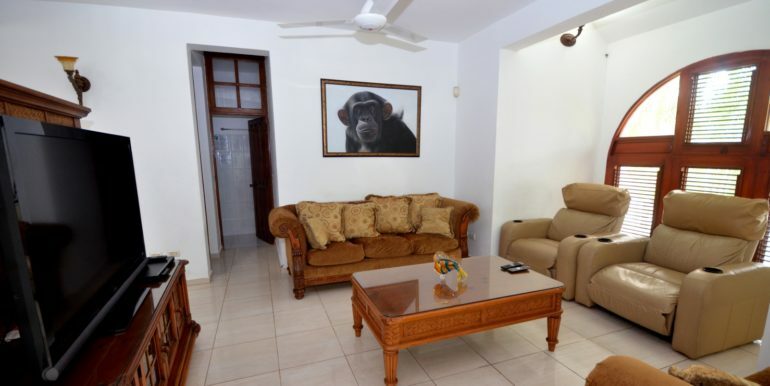 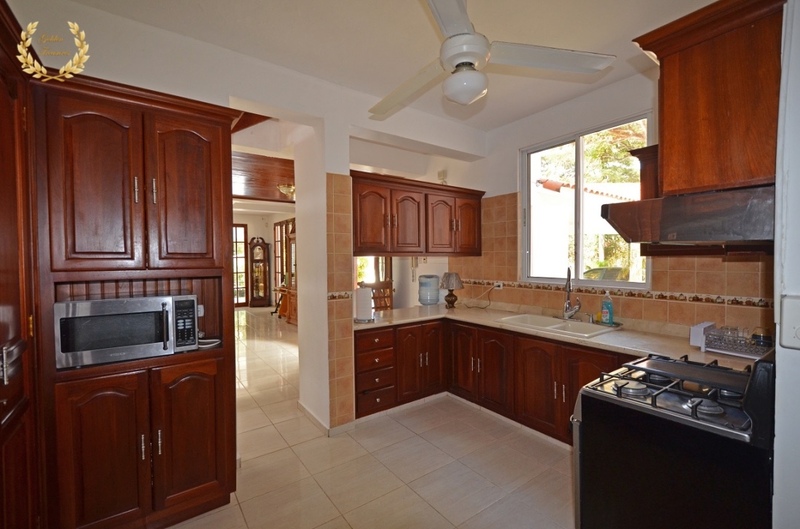 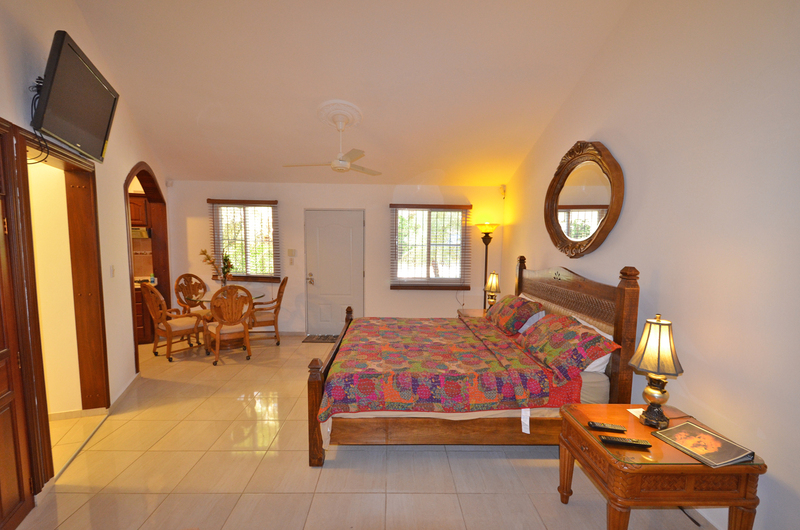 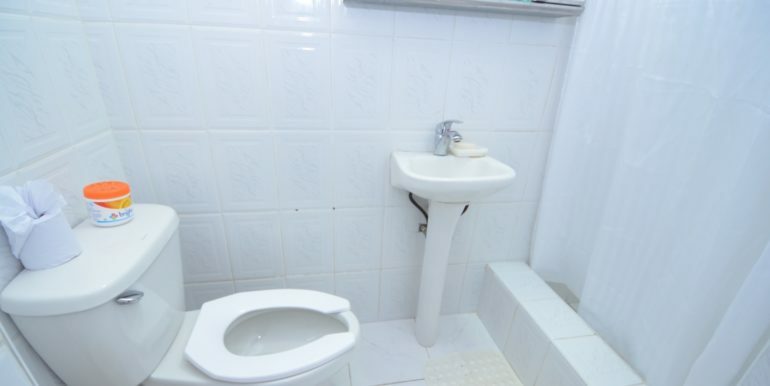 This is one of the best rentals in Sosua, at a very affordable rate. 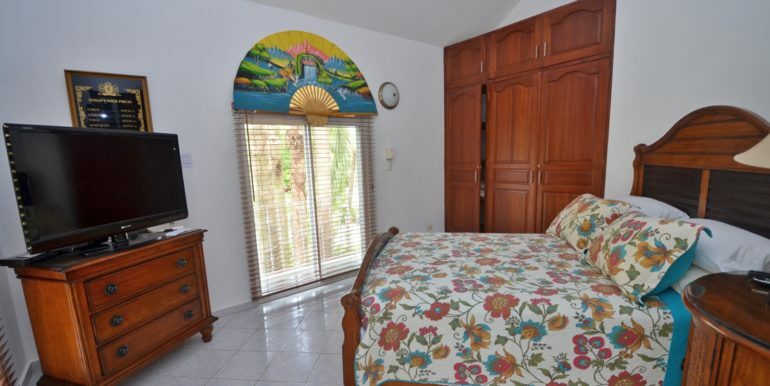 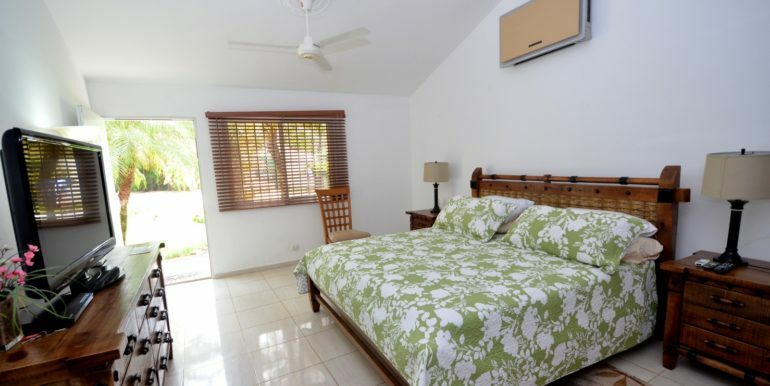 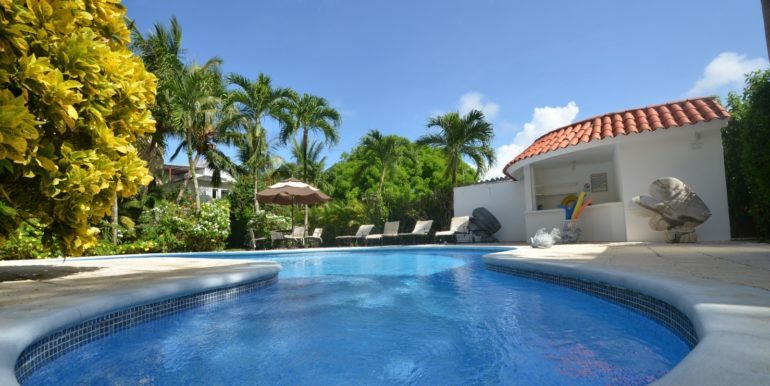 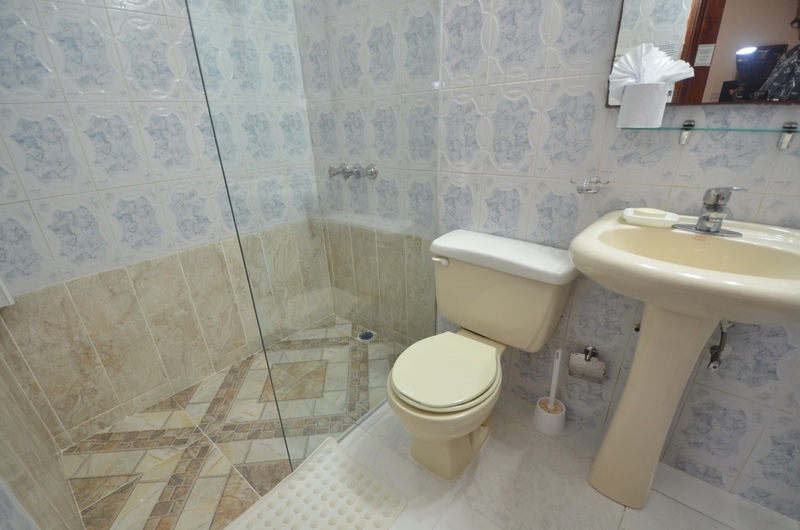 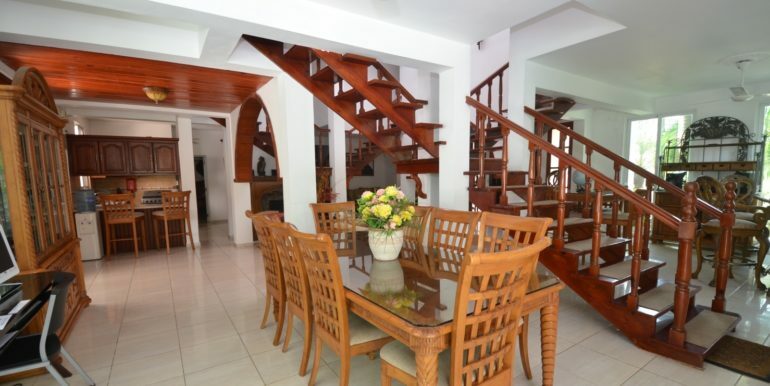 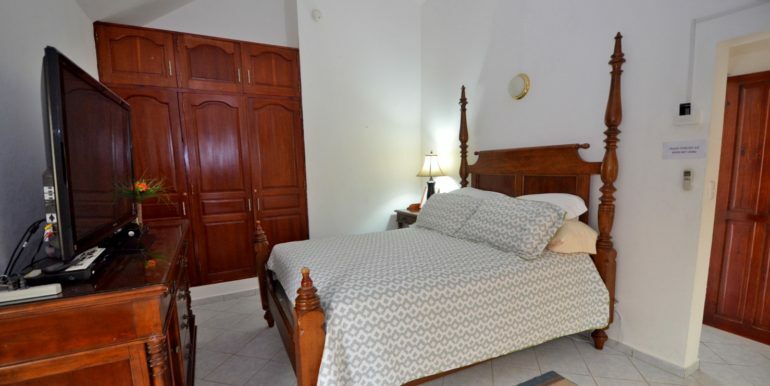 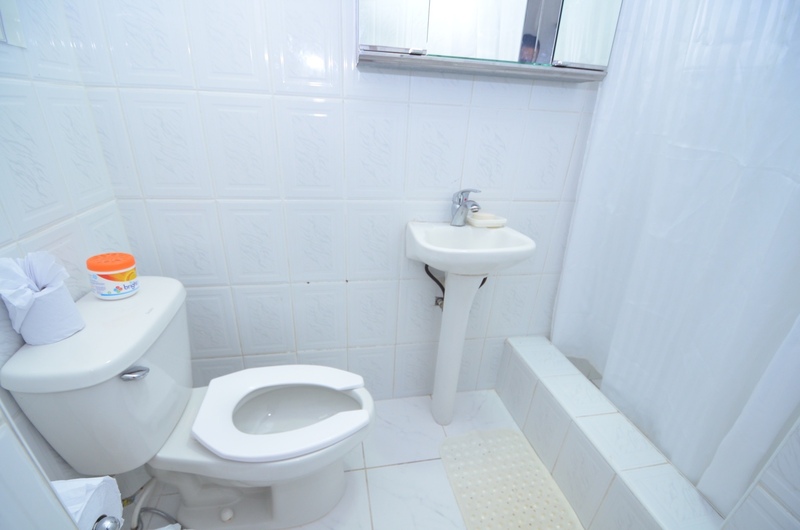 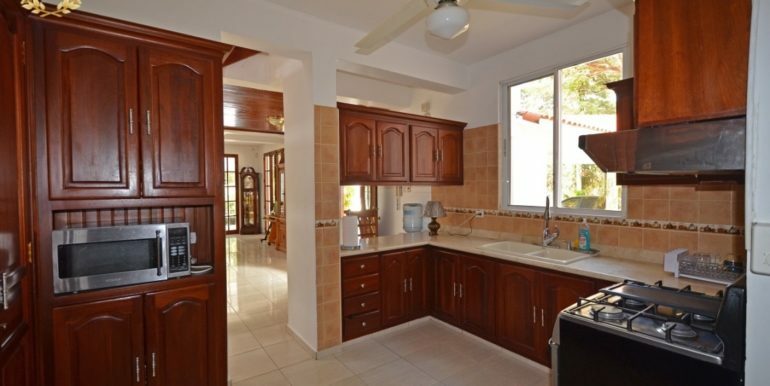 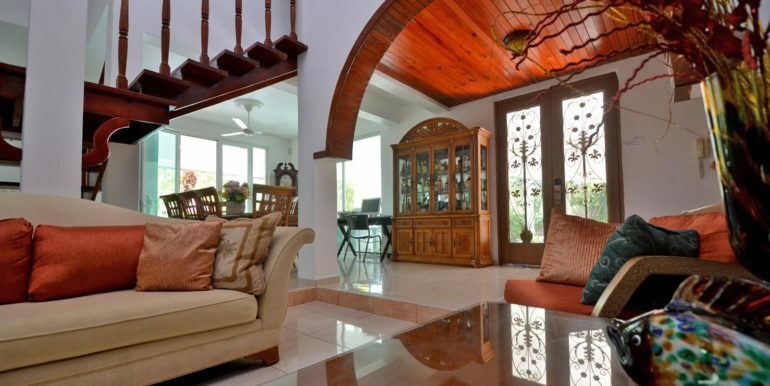 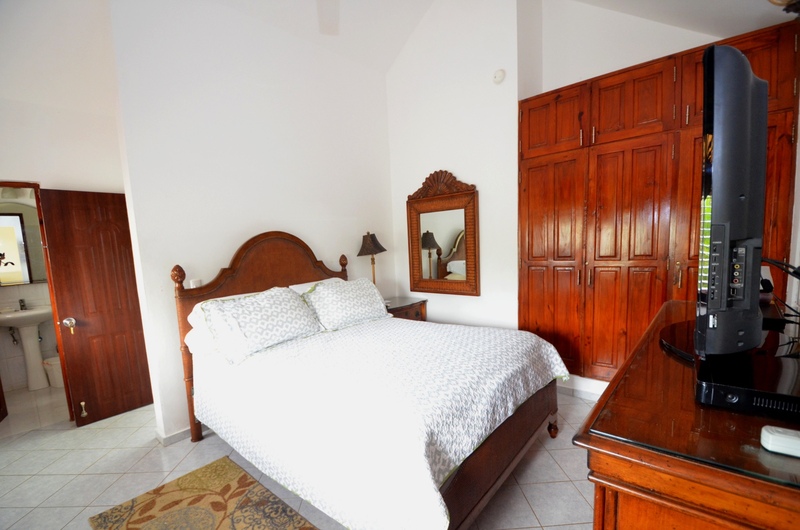 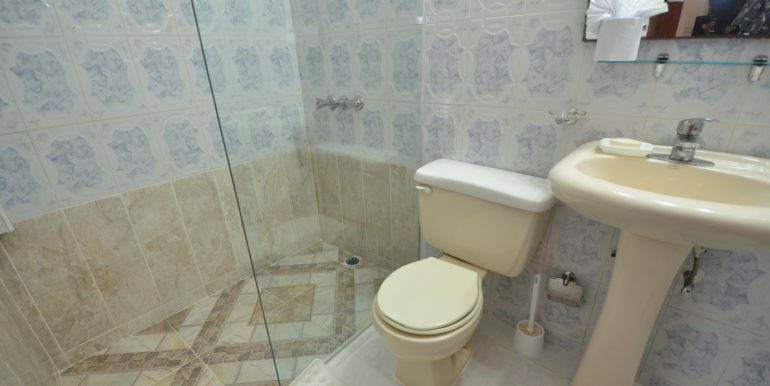 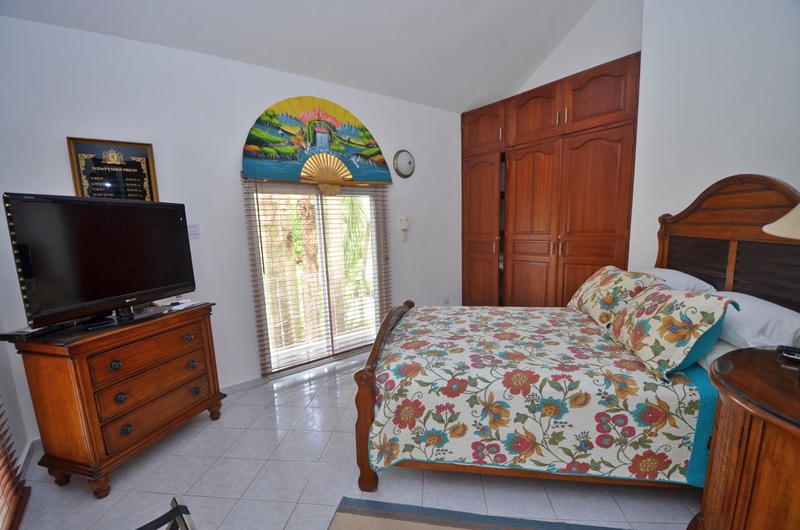 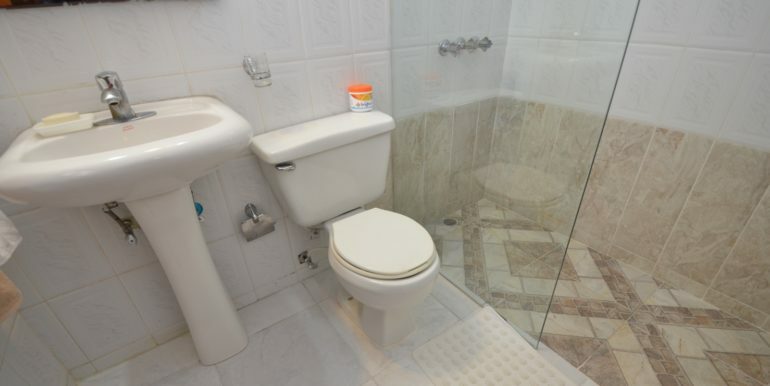 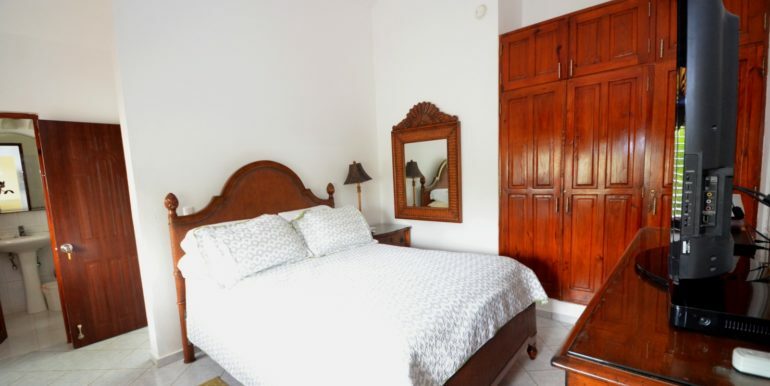 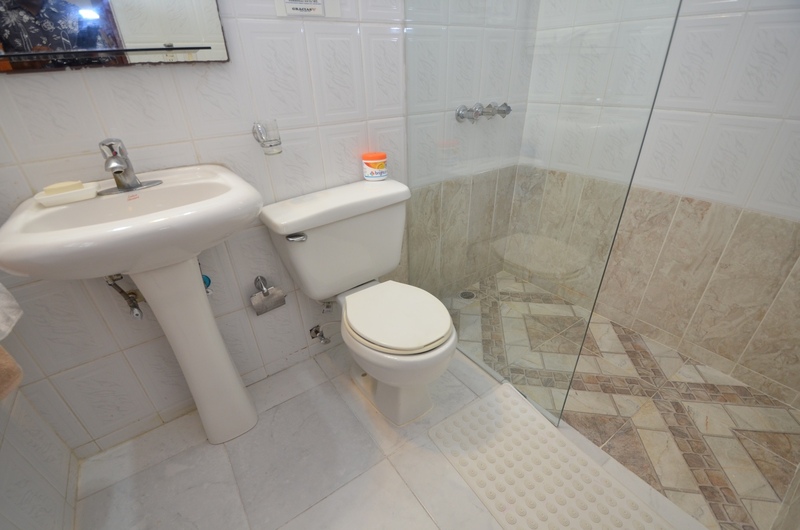 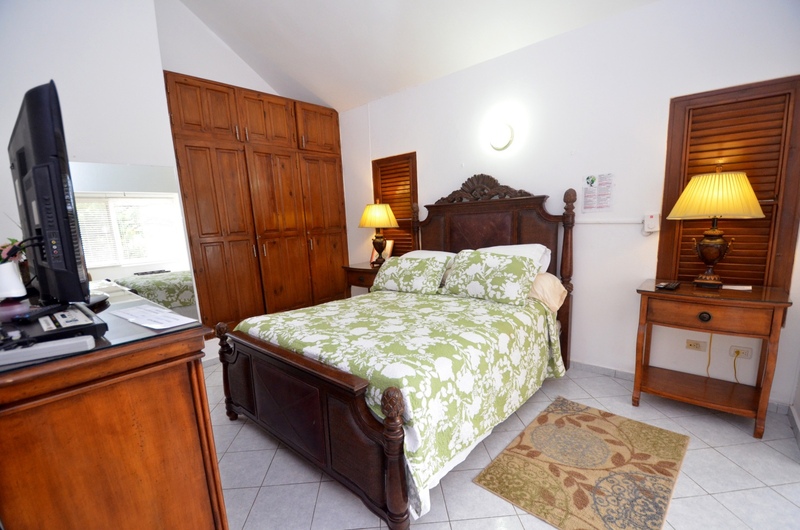 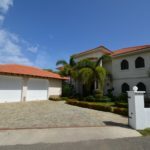 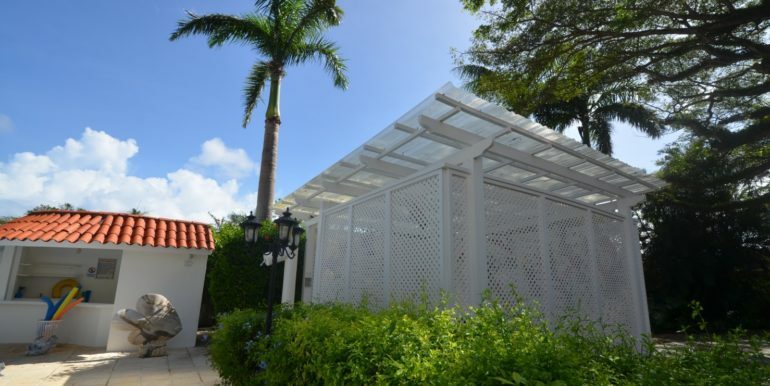 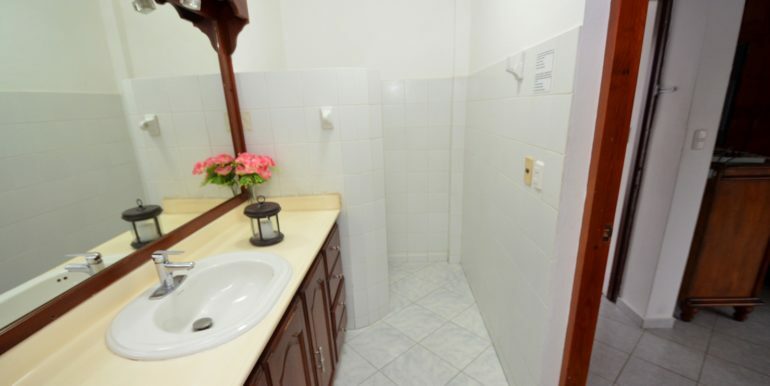 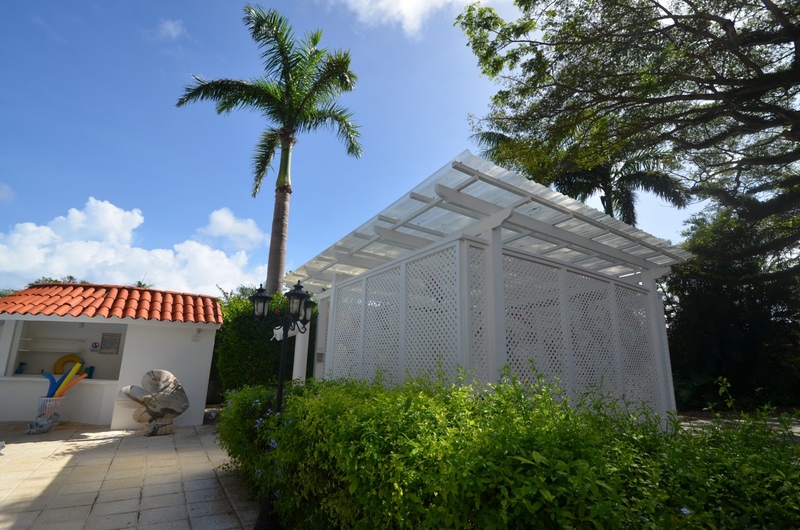 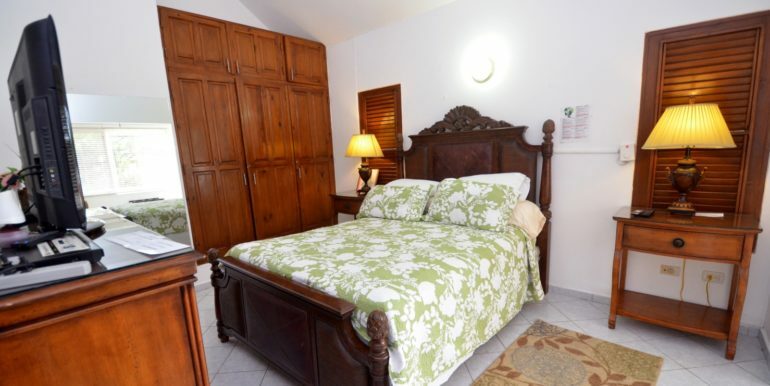 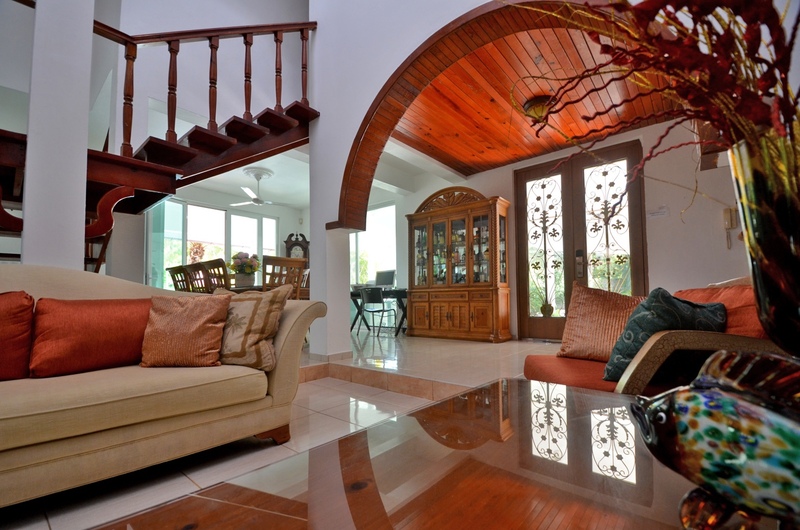 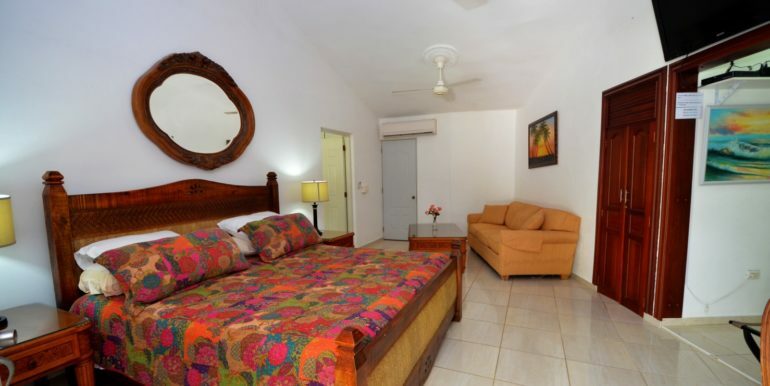 Being close to El Batey and within walking distance to discos and shopping areas. 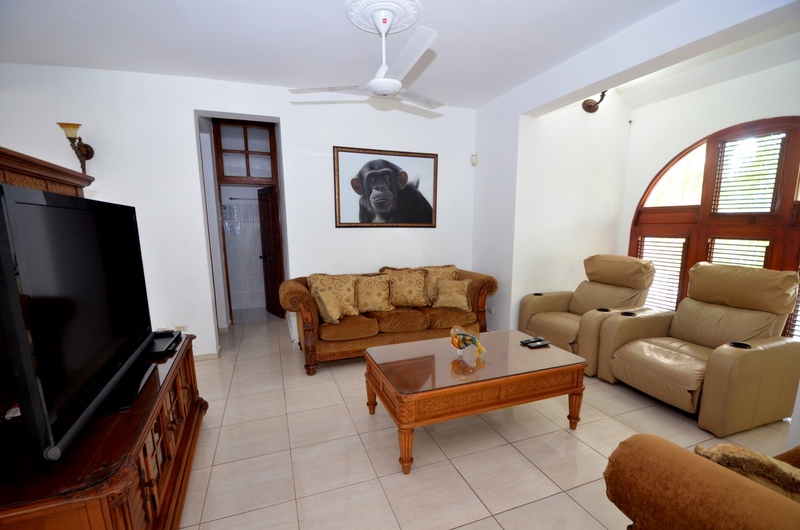 4 new 42″ plasma TVs were added recently to make it an even better experience. 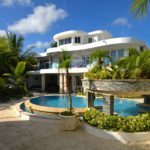 The rental can be expanded if a group rental requires up to 21 bedrooms, using a next door property ( either a 7 bedroom villa or a 6 bedroom condo building with direct access through the back door at very low rates ). 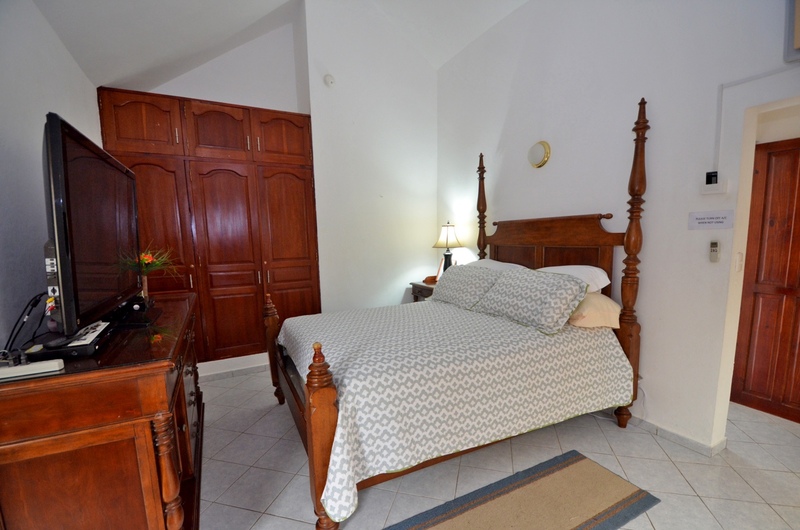 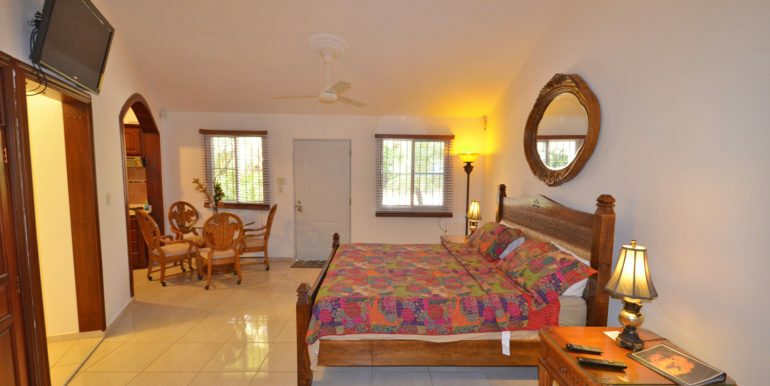 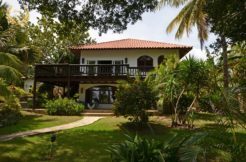 Sosua villa rentals like this are excellent choices if you would prefer to have walking distance to shopping centers and restaurants. 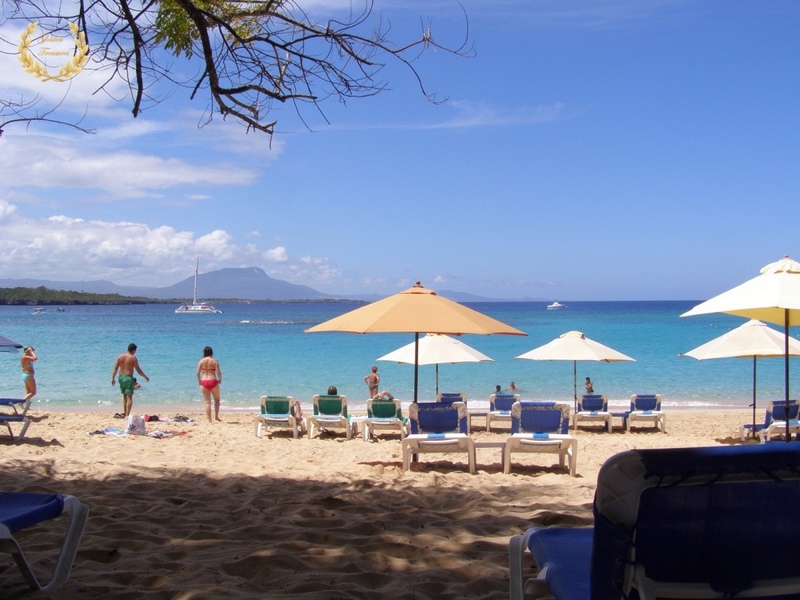 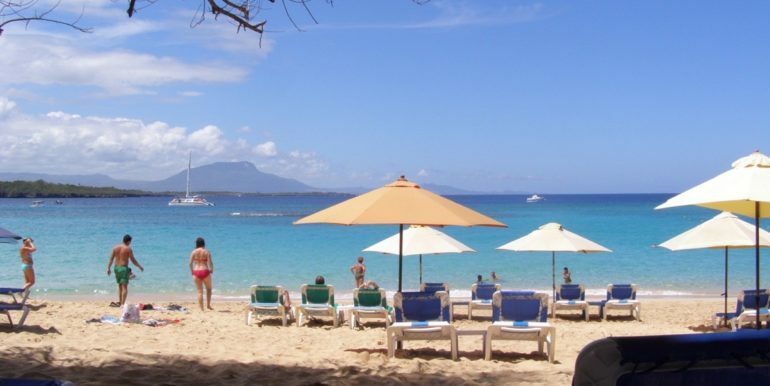 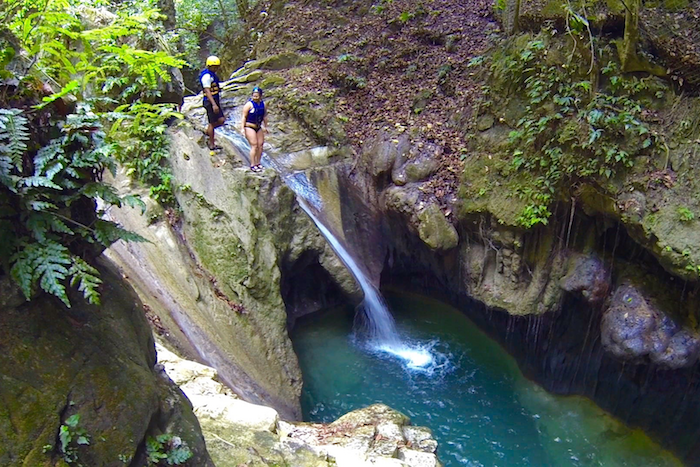 Cabarete beach is only 7 minutes away by car, and Sosua Beach 2 mins by car. 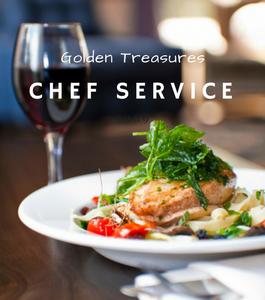 Private Chef Services are available for this villa, from 8:00am to 7:00pm at fair rates and a full online menu. 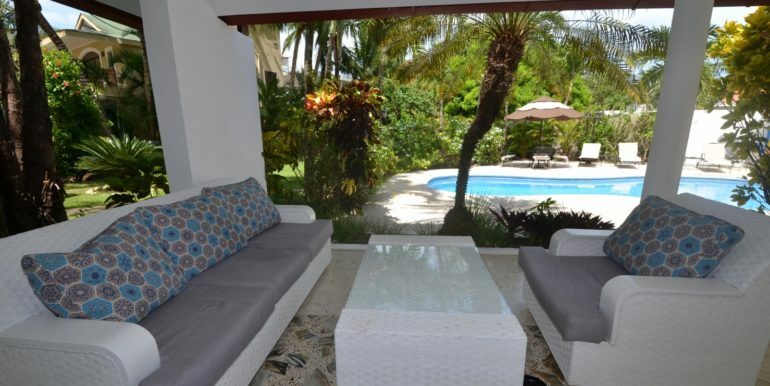 Bachelor parties are available in this rental, also weddings, birthday celebrations and family reunions. 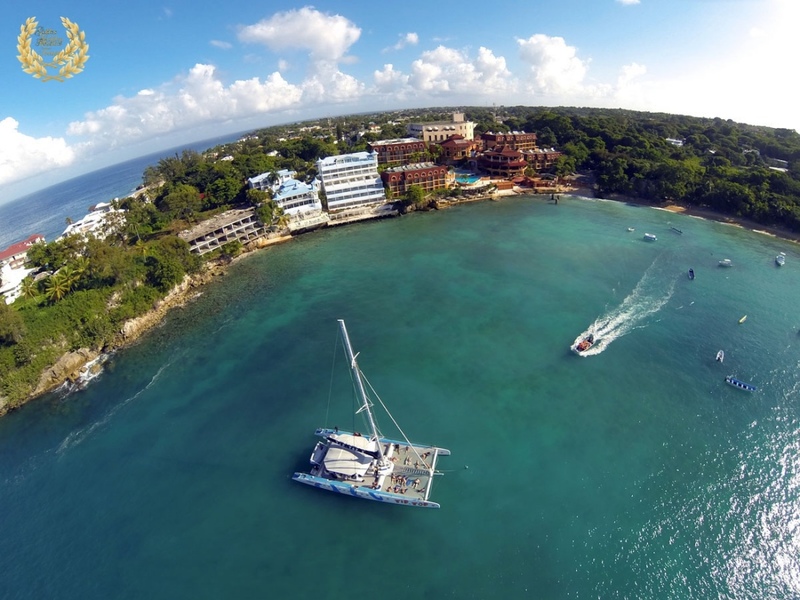 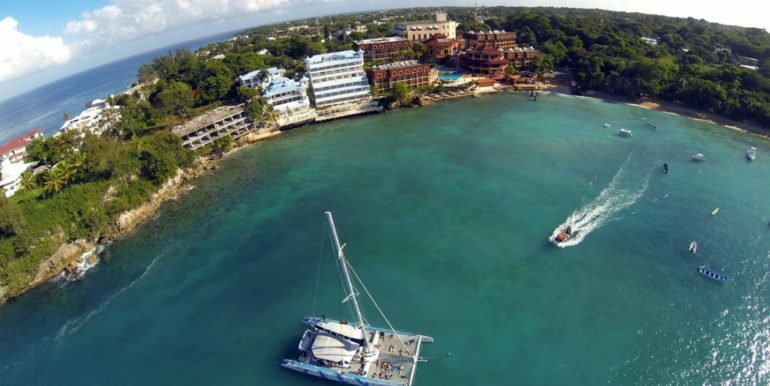 Renters can add a yacht tour through concierge services. 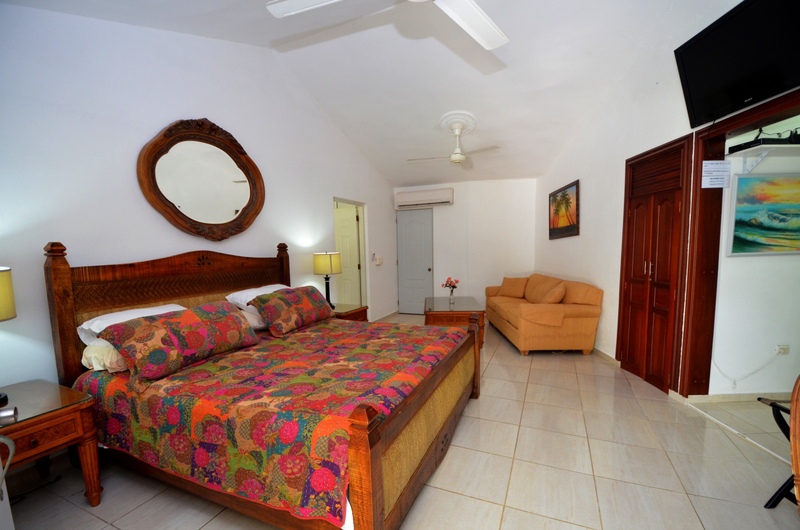 Holidays: Please contact us for holiday rates.